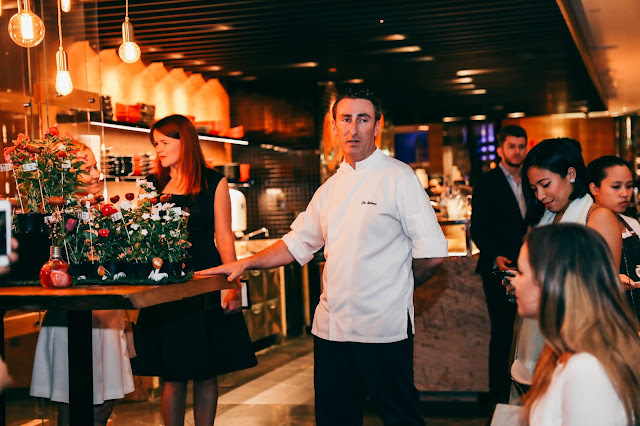 A few months ago I attended an Afternoon Sundowners and High tea launch at Byblos Sur Mer and had a brief chat with Executive Chef at the hotel, Danny Kattar. 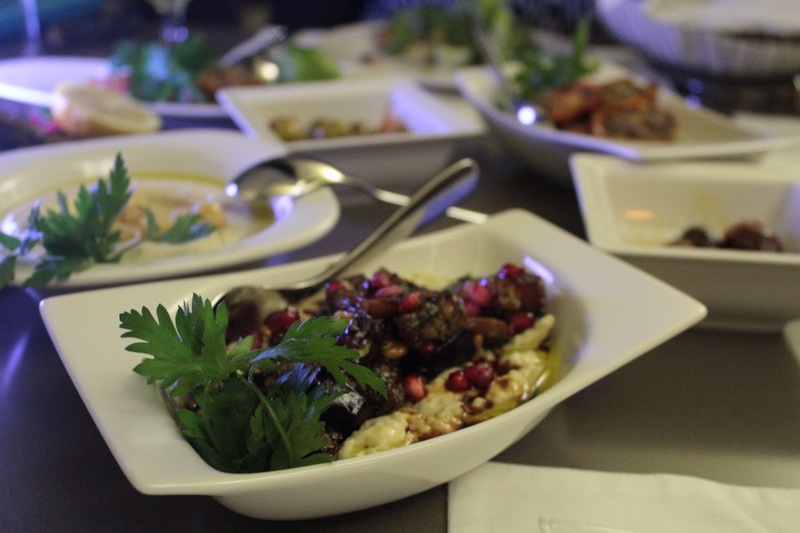 He waxed poetically and passionately about what they were trying to achieve at the restaurant, and emphasising that they were not offering Lebanese cuisine with a twist, but more like Lebanese cuisine revisited or reinterpreted. 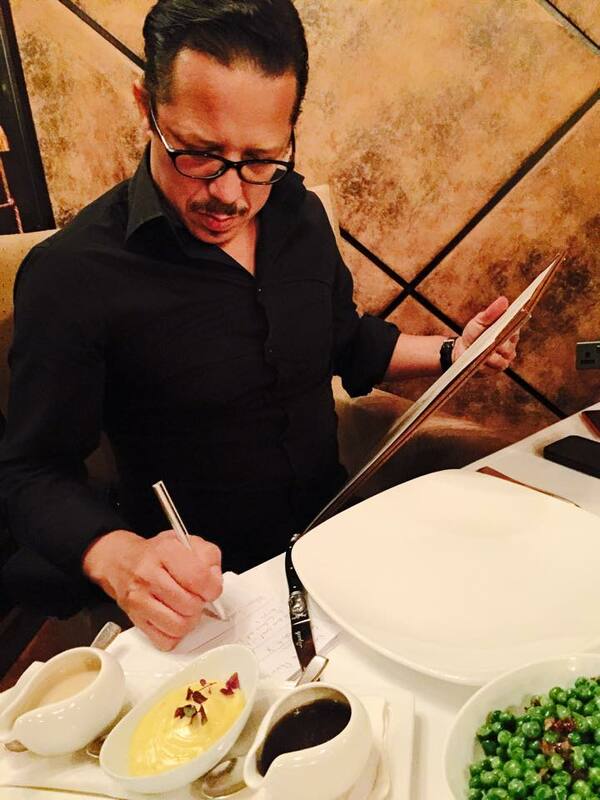 That time, the restaurant had just ascended to Number 1 in Abu Dhabi on Tripadvisor. Regardless of your feelings about this website, that is an achievement, considering there over 1800 listed restaurants on that site. 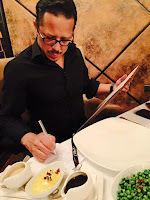 Three months later, they are still the top-ranked restaurant in the city, and I am psyched to experience the much-vaunted signature menu - a collection of those reinterpreted dishes alluded to above. It is fitting that the restaurant stands alone on the marina, separate from the main hotel. There is something unique about the restaurant's facade as I get out of my taxi. Maybe it is tied to the Byblos name, itself named after a city in Lebanon believed to be the oldest continuously lived-in city. It is almost mythical. Yes, there is history alright, but as I walk in, I can feel contemporary elements. 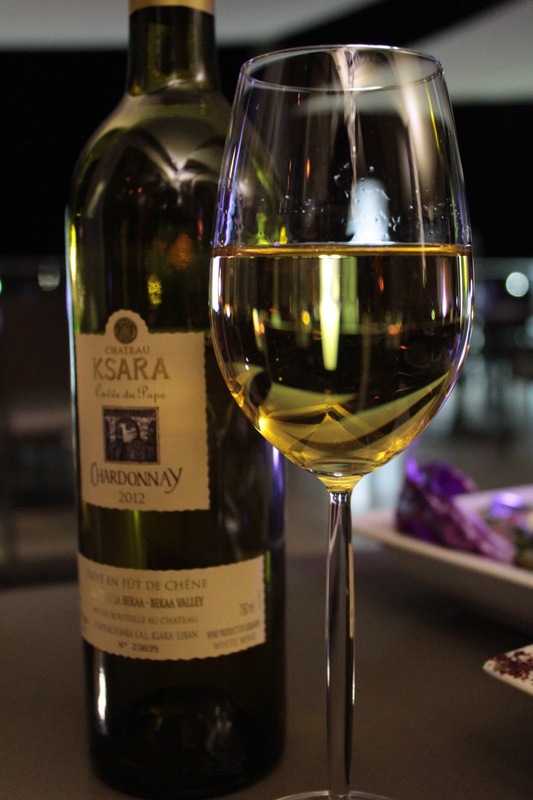 This night, there is a large table of about twenty well to do guests, flanked by smaller tables of couples sipping on some Lebanese wine. Our party of three end up being seated on the terrace, ideal as it affords a view of the marina, and more significantly, we can breathe in the cool February air. My guests and I start off with a selection of dishes from the more traditional menu, as I am determined to delay my gratification and have the signature dishes later. 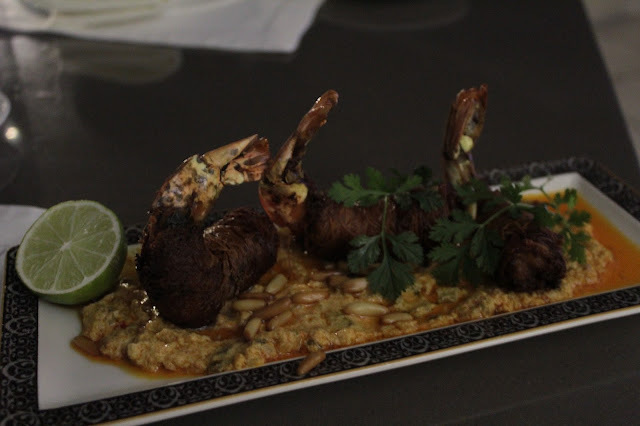 The Moutabel is simple, but bathed in flavour and is so inventive that it could easily fit onto the Signature menu. Imagine eggplant cooked two ways, and you have the basis of this dish. Chunky pieces of eggplant are decadently smokey and crispy too, the latter texture providing a foil to the usual eggplant that you find in moutabel. Then, pomegranate molasses add a syrupy texture as well sweet sourness. A highly recommended dish. Another early highpoint is the Tabliyeh, a selection of meat tartar exquisitely presented, and each one with its own unique flavours. 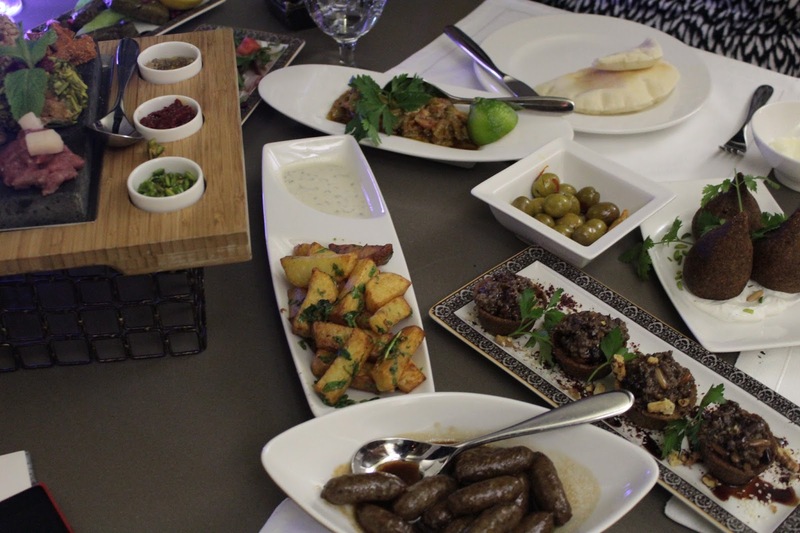 There is, for example, kibbah with pistachios and kibbeh with walnuts. 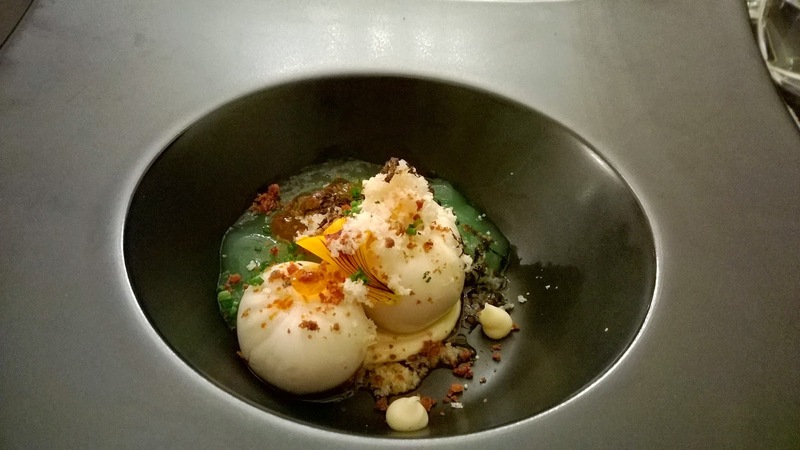 This is another dish that I would have expected to see on the Signature menu, but its presence on the traditional menu tells me that Chef is really challenging even more traditional diners to step out of their comfort zones. 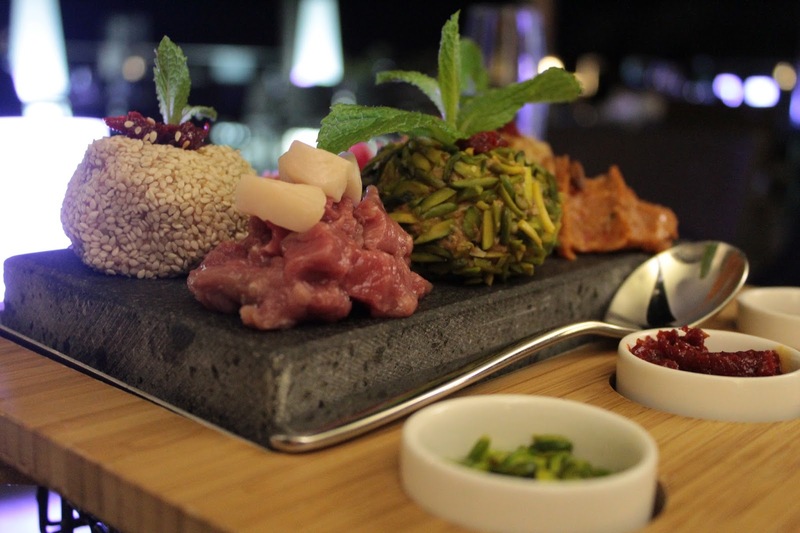 Raw meat is certainly not new to the cuisine, but it is how Chef presents these dishes that I find so enticing. Soon after, we order a few Signature dishes. My interest was really piqued earlier when I tried some of the more traditional dishes and found myself appreciating the boldness in a few of them. The first we try is the Moufaraket ferreh bil teen, which is Panfried quails with garlic and onions as well as molasses. Quail, with its fattier composition, has more flavour than chicken and the combination on the plate, add even more appeal to this dish. 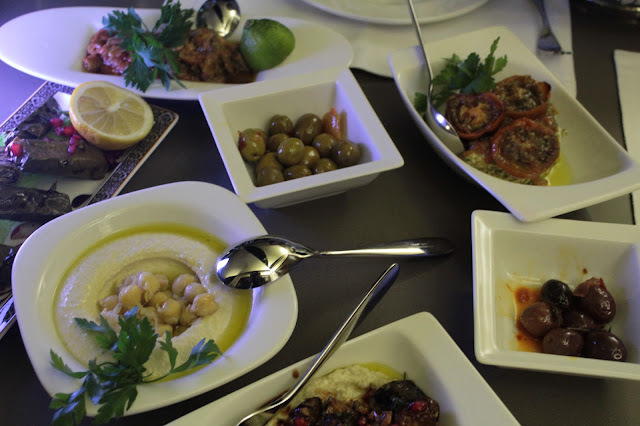 In-keeping with the Lebanese custom of hospitality thriving on abundance, the portions are generous. Even the signature dishes, which take into account a foreigner's perspective that less is more, speak of that abundance that is a cornerstone of Lebanese dining. Herein lies the strength of the restaurant - there is a homeliness about it that shows that while some dishes are reinterpreted, values like warmth and generosity are not. They remain universal and present. The second dish is the Abu sinn bil zaatar w arak, which translated is Snapper “Sashimi" contrasts with all the dishes we have had up to this point. There is a lot of flavour in this dish, and yet the overwhelming taste is one of subtlety, despite the aromatic and hypnotic thyme that is used pervasively in the dish. 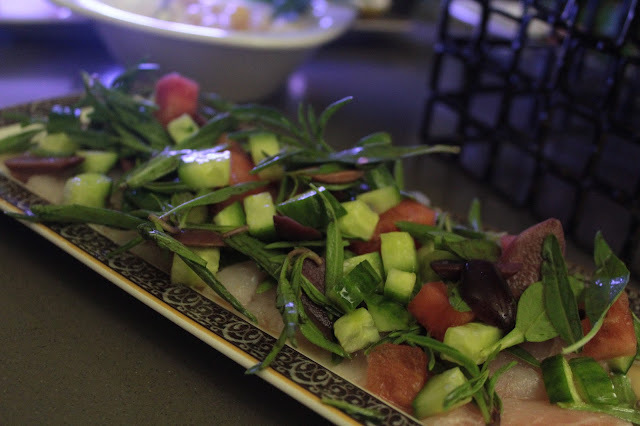 Watermelon, zataar and olives bring additional flavour elements, while the snapper remains all natural. Great balance overall. Now, on the service front, I find myself disconnected despite efforts to engage with waiting staff. I see that this is an opportunity for growth for a restaurant that otherwise offers something quite remarkable - a deft balance between the frequently trod road of tradition while casting an eye on a younger, more vibrant guest who is always on the lookout for something innovative and exciting. I am looking for staff who are confident to give me the background to a dish while at the same time maintaining a tone that is conversational and relaxed. Midway through the evening, I am engaged by one of the staff who reads me fairly well and by the end of the night is more in sync with my needs as a guest - I feel reassured by the end of the night. A work in progress overall. Dessert, oh dessert. We have three desserts from the Signature menu. The first, Awaymat bidebes kharoub, is Lebanese fried dumplings, with my ingredient for the night, molasses, hazelnut and mistka ice cream. There is something very homely about this. I guess it is the dumplings, which really remind me of mini round doughnuts. We also have the Warbat, a light and crispy baklava filled with halawa ice cream, accentuated by some pistachios lending more texture to it. It is that first bite of the baklava that stays with me as the pastry falls apart in the mouth, so easily. Finally, and this is my favourite dessert on the night because it is so much more than the individual ingredients - the Mouhalabiya bil karaz. 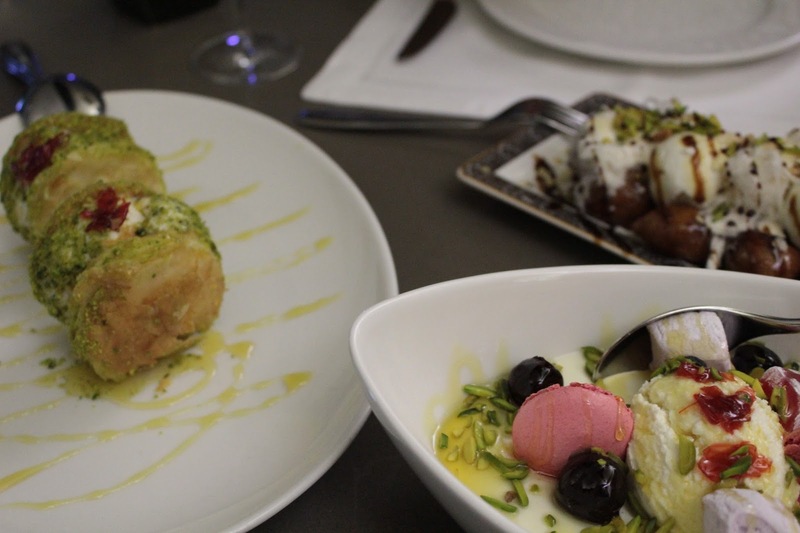 Yes, there is ashta, a clotted milk pudding, macaroons Turkish delight and marshmallows, but together they create a dessert that is both playful and childlike in its appeal. It is full of Spring, Summer and memories of a happy childhood. A dessert full of wonder! Lebanese wines offer a bit of a novel element because typical new world wines are the ones we are more familiar with. 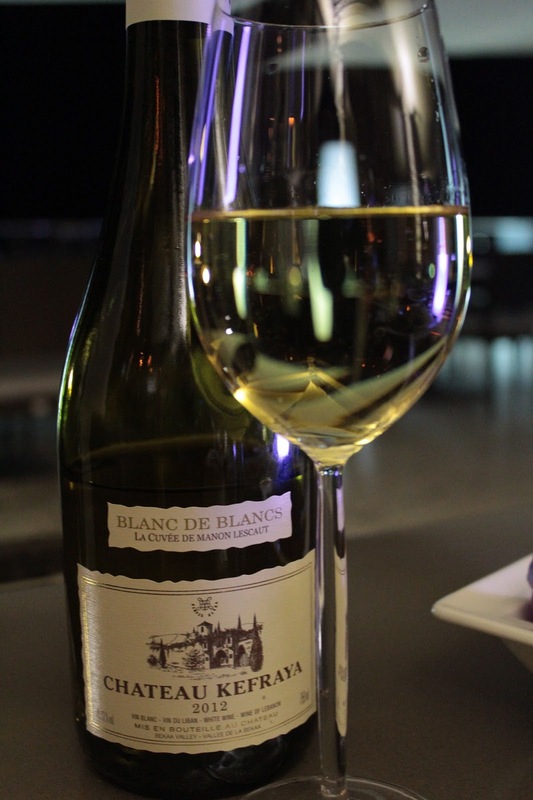 However, the three wines we have by the glass turn out to be worthy choices. I particularly enjoy a 2012 Chateau Kefraya Blanc de Blanc - it is crisp and fresh, and so easy to drink. 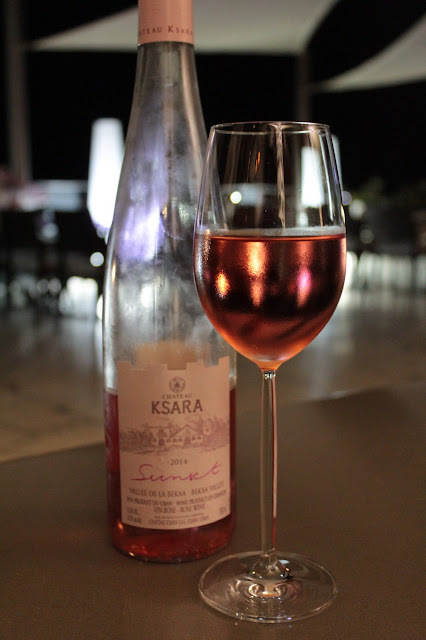 Also, the Ksara Rose´ proves to be a lovely accompaniment to our desserts, marking a personal deviation for me from the usual Muscadel I enjoy. 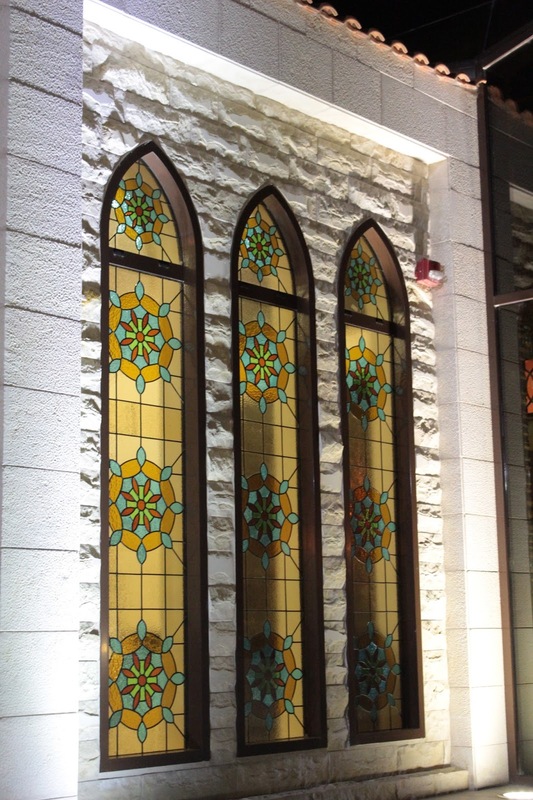 Byblos Sur Mer is certainly not your typical Lebanese restaurant. The interesting thing is that we did not have any grills, something quintessentially Lebanese. And yet our dinner was so rich and favoursome. I think the Signature menu has a lot of appeal to guests who want to move beyond the stereotypical dishes, while at the same time have no doubt that they are experiencing the cuisine. This is not fusion. I like the idea of dishes 'reinterpreted' because it shows respect to the classics and does not discard them completely. 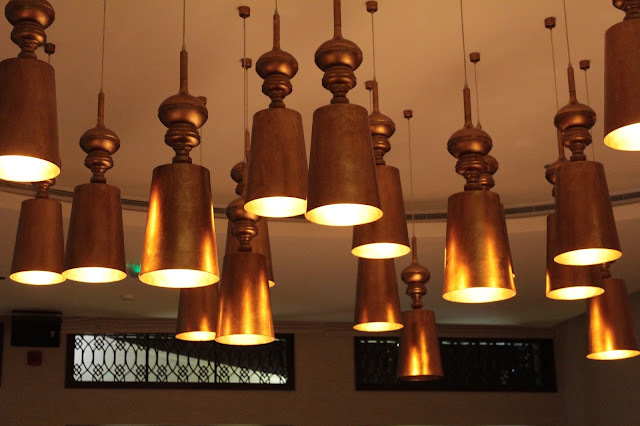 But it is not only the signature dishes that show a creative edge. Even the standard menu offers this. So, the Moutabel, despite a variation, still tastes like Moutabel. As I reread this piece, I notice how often I used the word 'flavour' or its variations and I guess that is no coincidence, in retrospect. Flavoursome. Disclaimer: I was invited by the hotel to experience Byblos Sur Mer.